The trainees had the opportunity to become aware of the new generation Blue Economy Tools for aquaculture. Furthermore, they had time to experiment with the preprocessing stage of production data, creating machine learning models and production plans and generally evaluate their virtual fish farm performance in terms of Key Performance Indicators. The participants were more than enthusiastic about the Blue Economy Tools, thus deciding to reunite at the next BlueBRIDGE meeting in December. On 22nd of November 2017, at 12:00 pm CET BlueBRIDGE organized a webinar on “Blue Economy: New Generation Tools for Aquaculture”. Once again, Gerasimos Antzoulatos was one of the speakers, along with Charalampos Dimitrakopoulos (IT Consultant at CITE) and Panagiota Koltsida(Researcher and Software Engineer at the University of Athens). 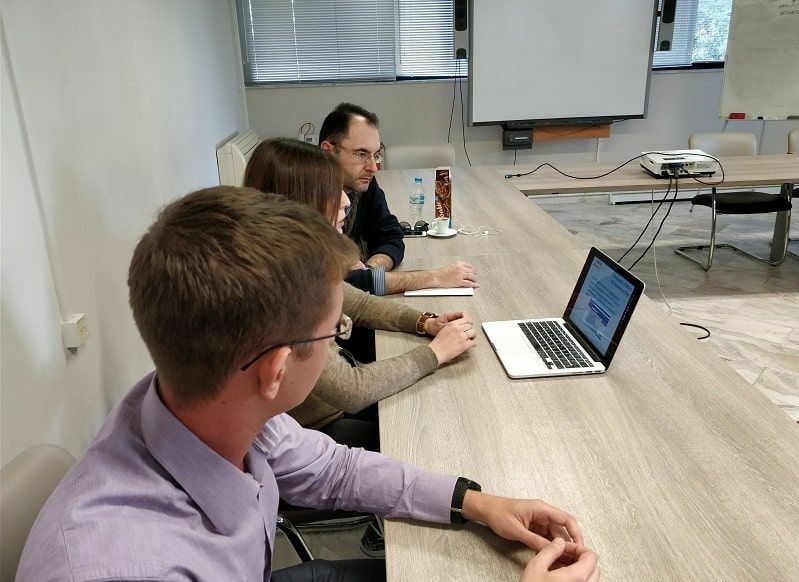 The webinar focused on the BlueBRIDGE tools that aquaculture producers can use to estimate the performance of their production by exploiting state of the art Machine Learning methods, based on real historical production data. Furthermore, they are able to make accurate production plans, future investment plans by exploiting the geoanalytics platform and techno-economic analysis combining production, financial and environmental data. In this way, they can make correct and timely decisions strengthen their aquaculture’s position against competition. Over 50 participants from all over Europe attended the webinar.